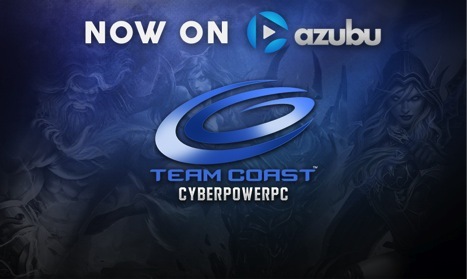 LOS ANGELES – November 14, 2014 – Azubu announced today an exclusive streaming partnership with Team Coast, one of the highly anticipated professional teams to grace North American League Championship Series (LCS) stages. The team recently competed in the 2014 North American Challenger Series (NACS), taking first place over Team Green Forest, Curse Academy, and Team LoLPro with a 6-1 overall record. In their second NACS this year, they went undefeated against Team 8, Curse Academy, and Denial eSports with a 6-0 sweep. In addition, they have a very high potential of returning to the LCS. Known for their innovative play style and wide Champion pool, Team Coast joins an impressive roster of pro teams and players like Faker currently streaming on the high-quality eSports broadcasting platform. For more information, please visit www.azubu.tv.